Hello everybody and welcome to the first ever issue 1 of Spirit Spotlight, the write up of the best spirits you can find at the Dial. This week we are looking at Copperhead, no not the snake, but a gin straight out of Belgium. Now the Belgians have never really been known for making premium gin, in fact when I heard of this I thought it would be mixed with chocolate and waffles, so I instantly got excited about it. However it turns out that this product, encased in a gorgeous copper bottle akin to the copper pot stills used to distill gin, is as good as the best of them. One day I will make a waffle gin and bring joy to the world, but I digress. Now a short backstory that I’m sure is all based on facts, this gin is the by-product of one Mr Copperhead, an Alchemist who was in the search for the elixir of life. Instead of creating said elixir, he conjured up a gin! Close but no cigar eh? 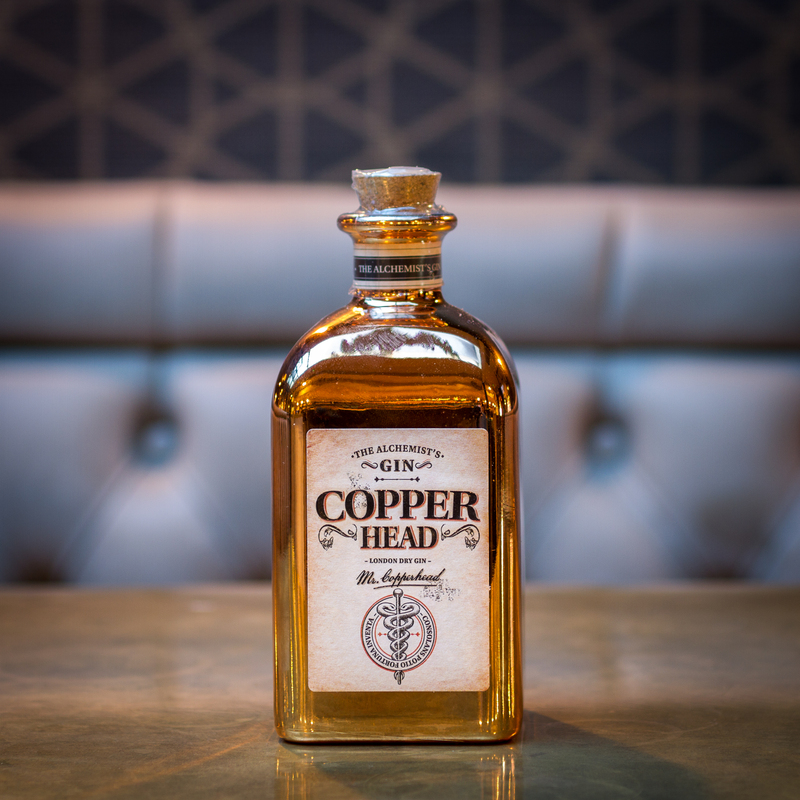 Copperhead instead uses 5 different botanicals including cardamom, juniper berries, orange peel, angelica and coriander, all infused together in a copper still. When brought together all these botanicals shine through, from the scent of citrus to the taste of zesty sweetness. How Should I have it? I hear you ask. Well I recommend you drink it as Mr Alchemist wants you too, Copperhead is a premium gin and as such you should pair it with a premium tonic such as Fever tree. It’s a slight twist on the classic Tom Collins recipe but will help bring out the taste notes in the gin. That’s all for now so until next time, get mixing.